I had a unique opportunity a year or so ago to hold in my hand a neat material. These pictures are part of a very large satellite dish for conducting radio astronomy research. 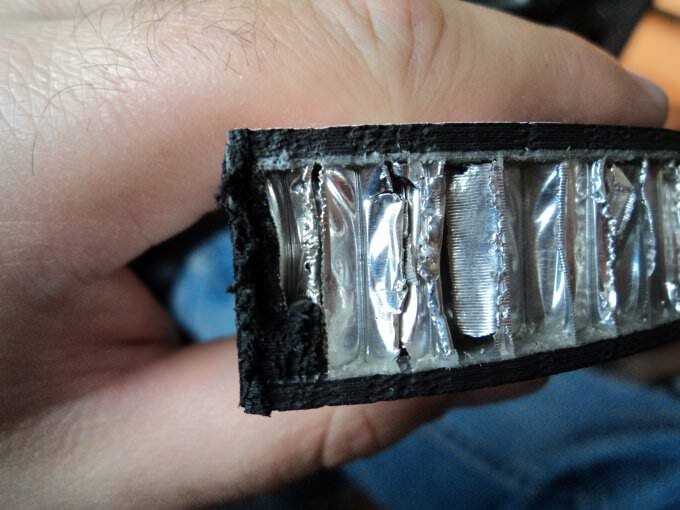 This particular antenna was damaged in shipping, so my friend got to cut it up and inspect the structure some more. 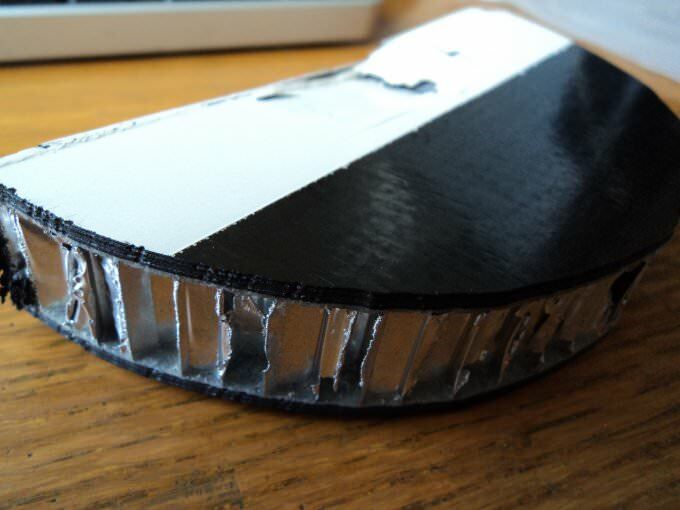 The material is a honeycomb structure of thin aluminum and the materials on either side are a carbon composite. The aluminum honeycomb provided good strength, but then the carbon composite gives the dish good stiffness properties. For receiving radio waves, any deflection in the large dish from one side to another, the signal will be distorted. I wanted to put these in one of my blogs, and perhaps this advanced material will be tomorrow’s archeology discovery. I put them here for this reason, and I hope you enjoy. 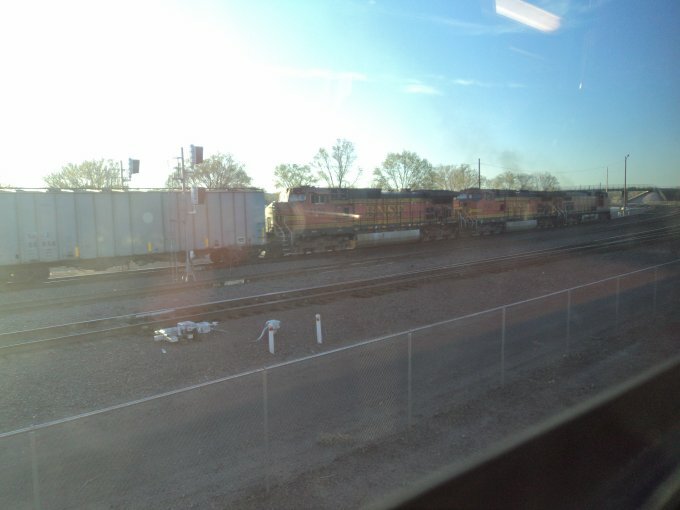 There were so many trains today. 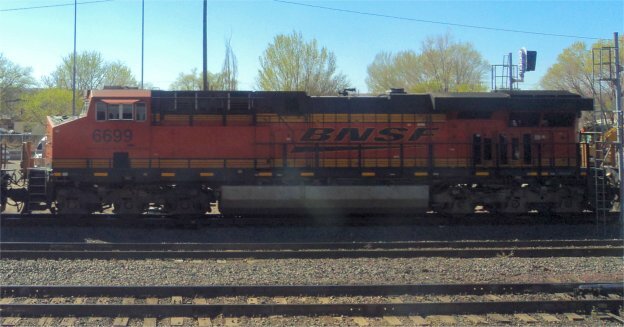 There was a nice looking CP switching engine that I did not get a chance to photograph. 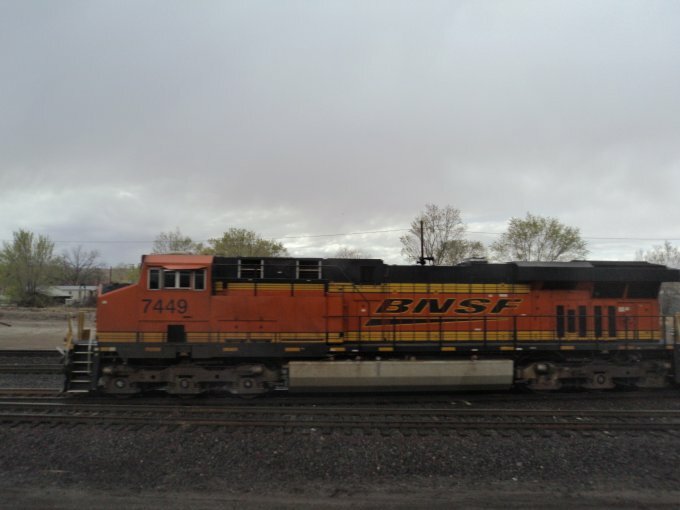 There was an outbound freight train being pulled by six BNSF locomotives, and I couldn’t fit them all in one frame. The worst part was that the sun was opposite me the entire time, so I couldn’t get any very good photos. I hope you enjoyed my post. 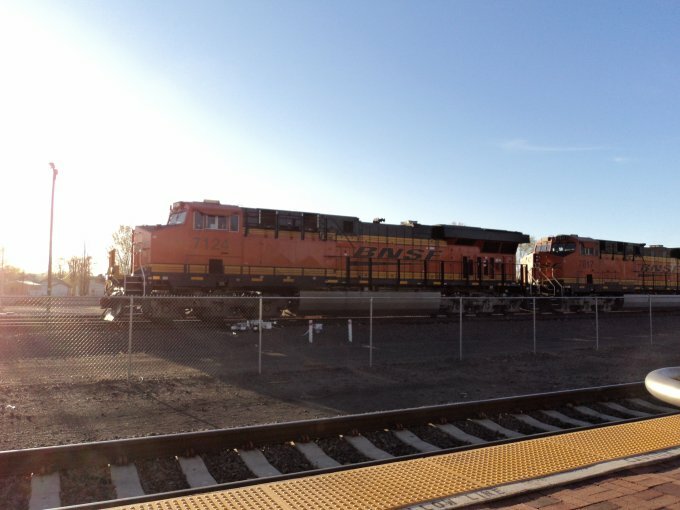 I’ll have to figure out a way to take higher quality photos while sitting on board the NM Railrunner. 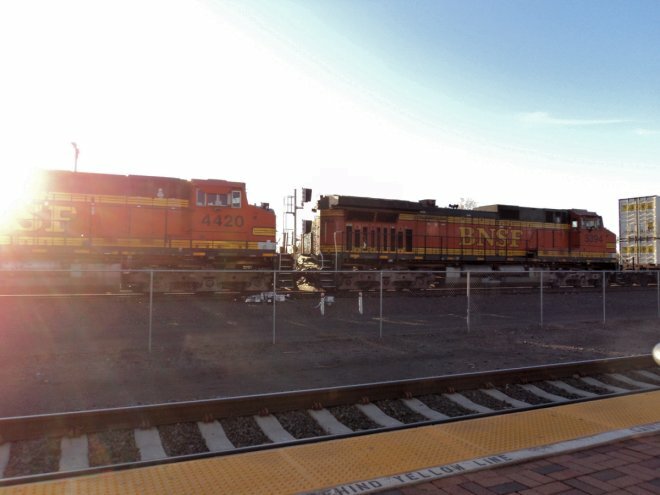 I was waiting for the NM Railrunner to leave once again at the Belen station. 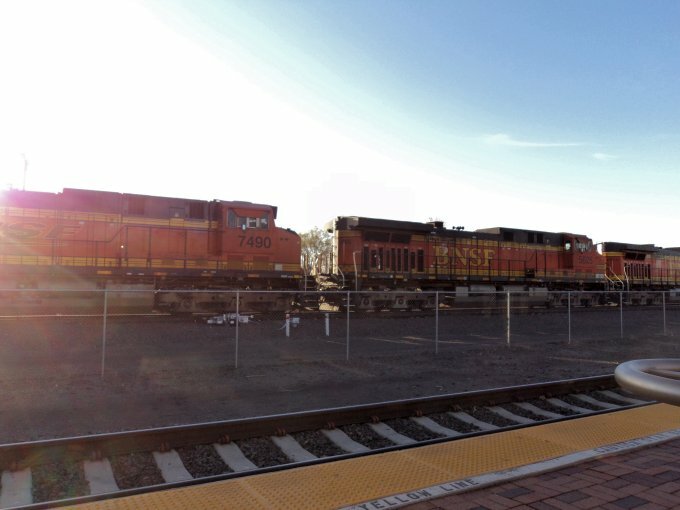 I took a few photos of a few passing freight trains. 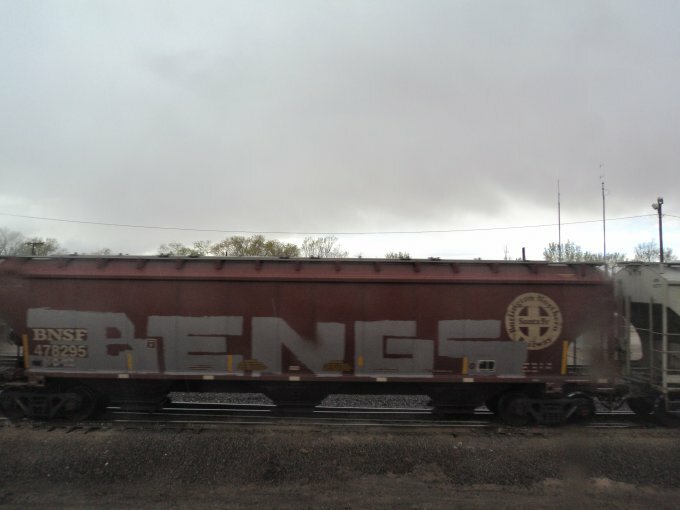 The graffiti on some of the freight cars looked especially neat on this dreary day. 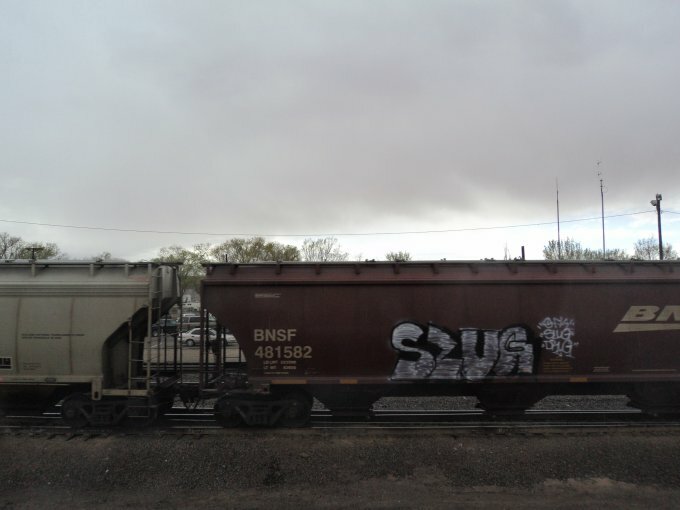 The hardest part was getting my camera to focus through the raindrops that kept appearing on the window of the NM Railrunner car. I hope you enjoyed my post. 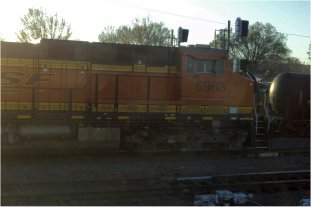 I took more photos today waiting for the Railrunner to leave, but the sun was in most of them, so I’ll have to see if I can clean them up before I post them here. 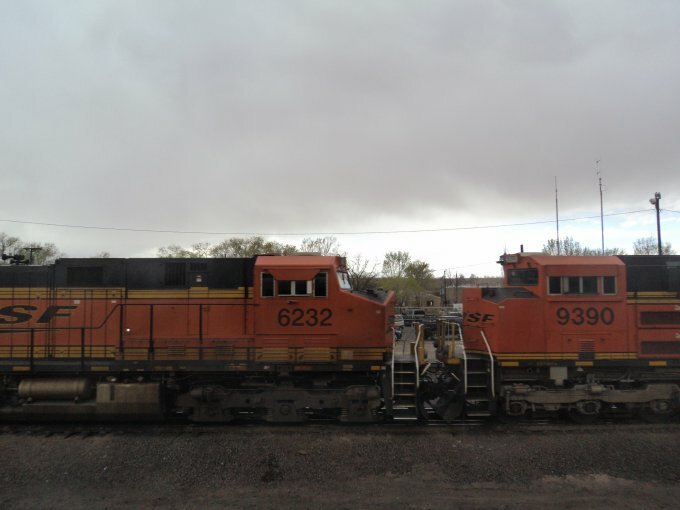 While waiting for the NM Railrunner, I saw several trains at the Belen Railyard. 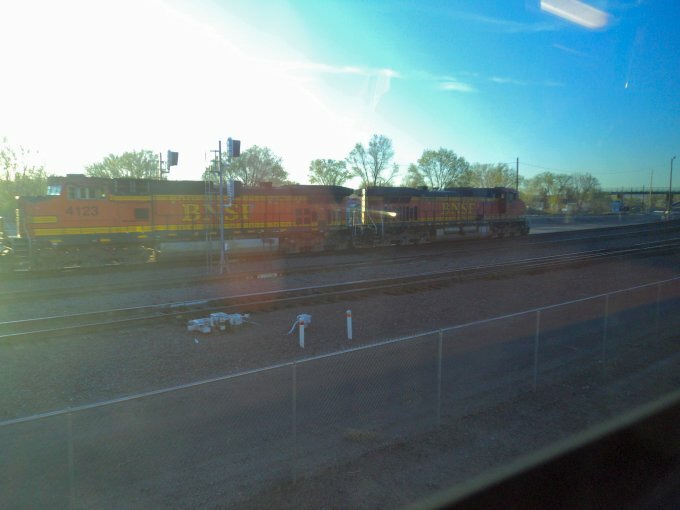 However, several switching engines had to move out of the way of the freight train, and that whole process was pretty cool. 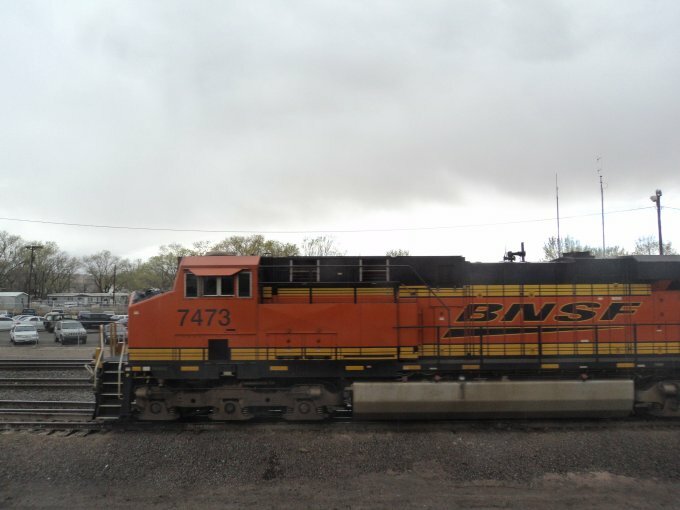 First, I got to watch them remotely activate the switch (I tried desperately to get video of this switch operation, but I couldn’t quite catch it in the act), and then they moved the two switching engines. The switching engines themselves were fascinating. 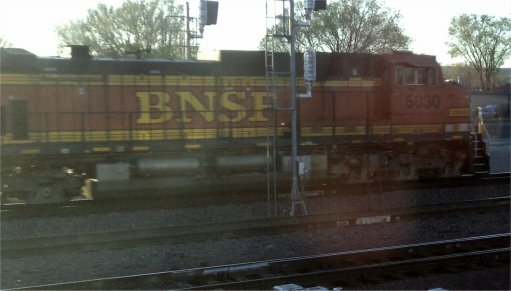 I had seen Canadian National (CN) locomotives before, and one of the switching engines was CN 6021. What I had not seen before was Iowa, Chicago and Eastern (ICE). 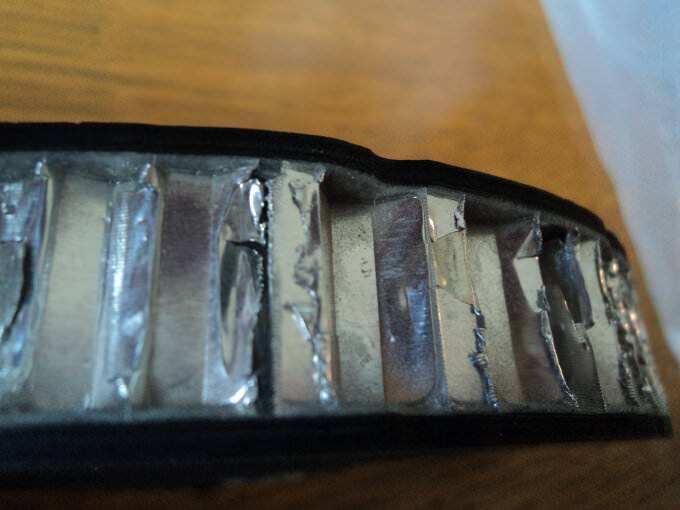 Shown here is ICE 6416. Thanks to the internet, ICE was formed in 2002 and merged with in 2008, though it was able to turn a profit during that time (1). It’s funny to think about a railway forming in 2002, and even stranger still to realize that it was profitable. It sounds like a well-run show. 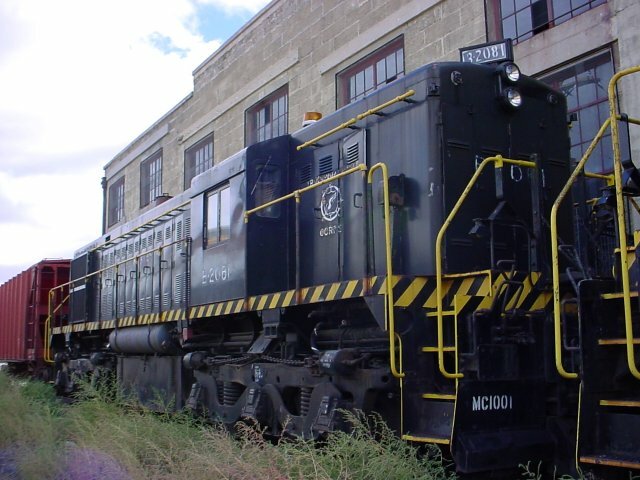 (1) Iowa, Chicago and Eastern Unofficial Page, http://www.illinirail.com/icerail/, Accessed March 14, 2014. 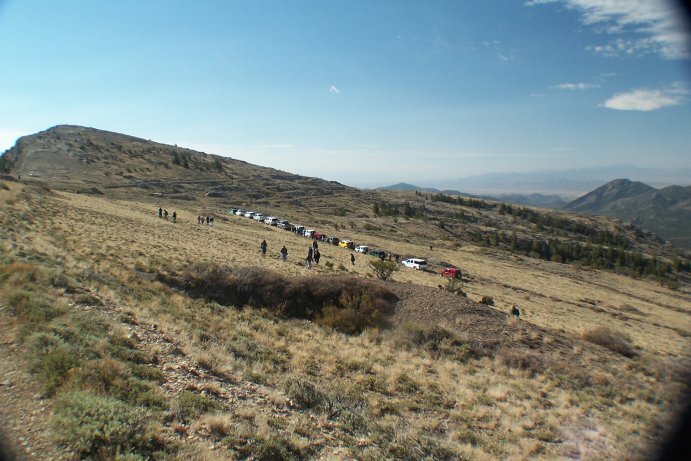 The Society for Industrial Archeology Fall Tour of 2007 started out with a four wheel drive trek to Treasure City, Nevada. 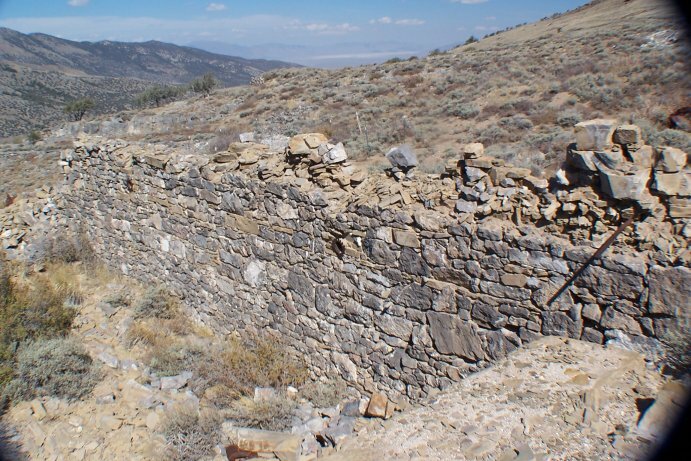 We began in Ely, NV and headed west along US-50 to Treasure City. 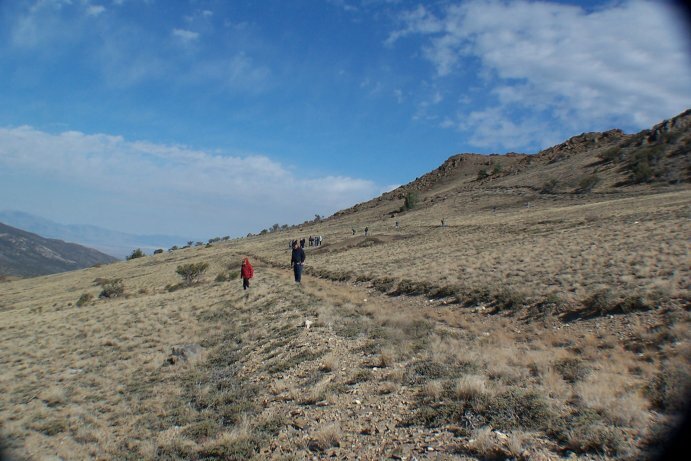 According to ghosttowns.com (1), Treasure City used to be a bustling metropolis of 6000 people and over 40 stores back in 1869 and 1870. 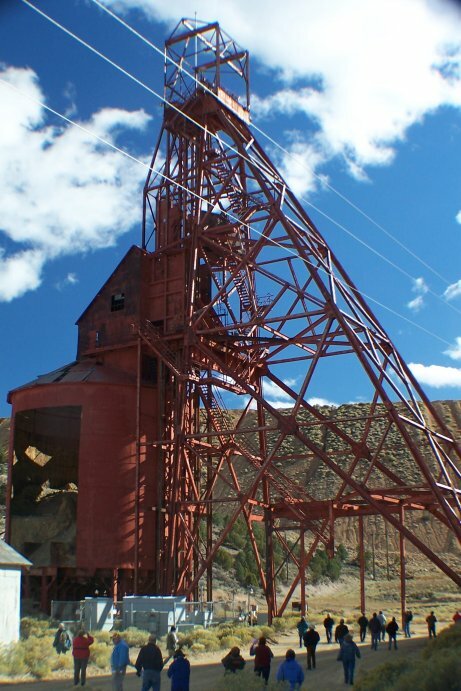 However, deposits were mined and ore prices dropped, causing the town population to move out of town. 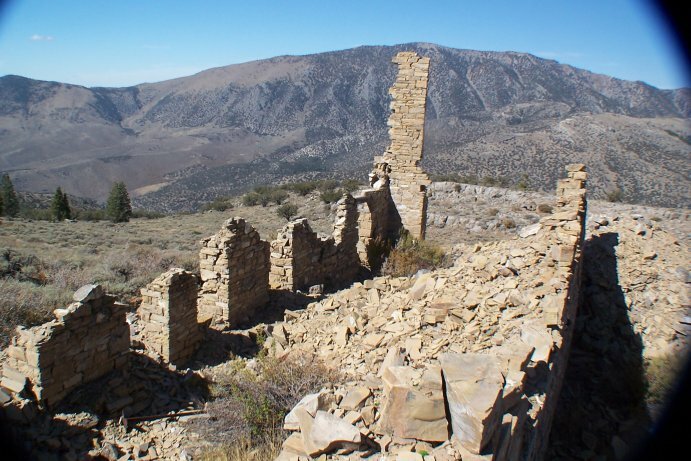 A fire destroyed most of what was left in 1874. 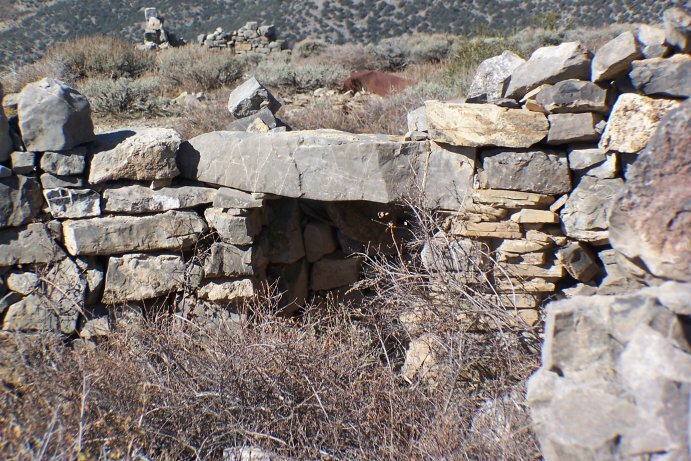 Among the remains was a cemetery that had long since been abandoned. 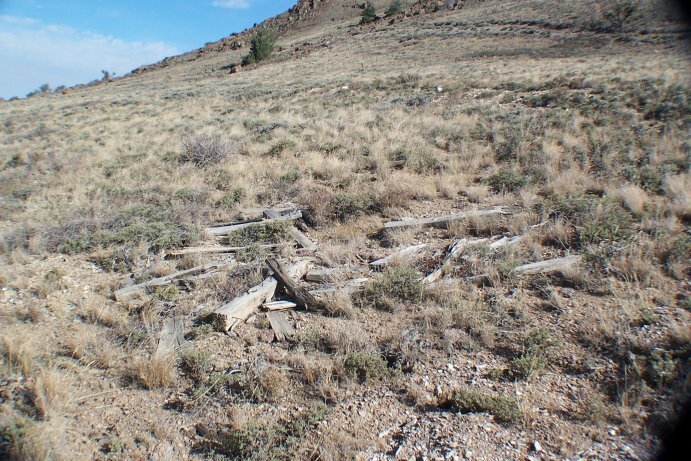 There was some talk of allowing a crew with ground penetrating radar to get a count of the number of folks buried in this area, as the grave markers were mostly gone. 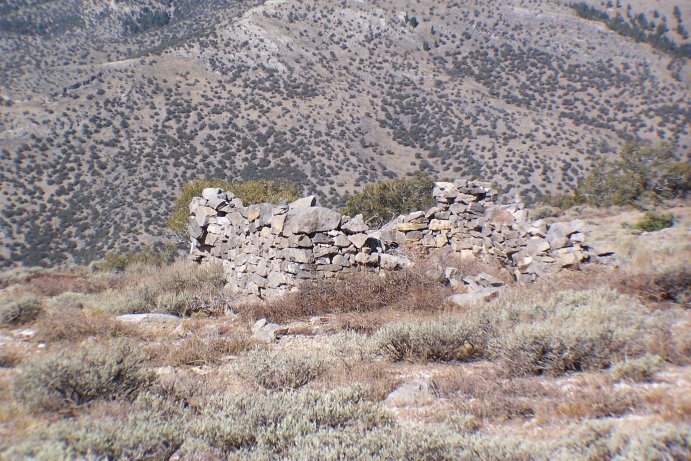 There were several buildings left. 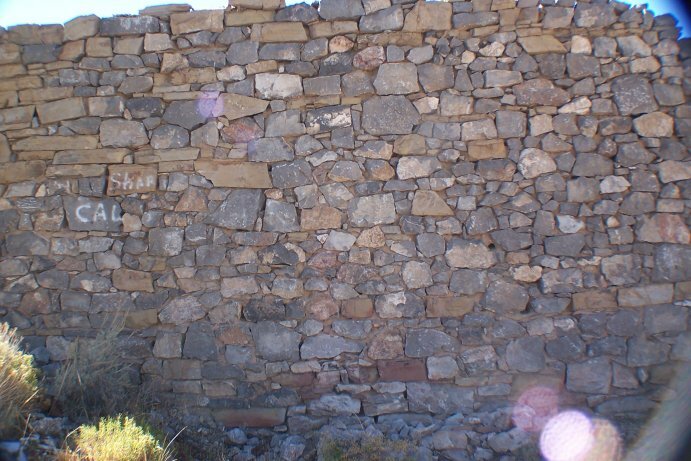 They were all made of stone and all had been damaged. This building may have been the Masonic Lodge. 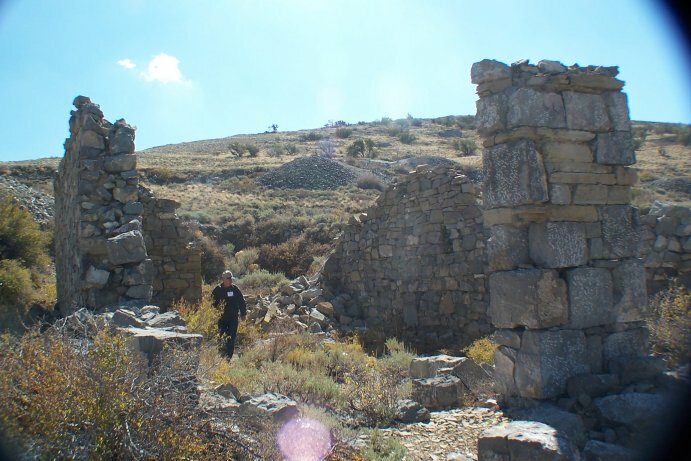 (1) Ghost Towns.com, http://www.ghostowns.com, Accessed March 11, 2014. 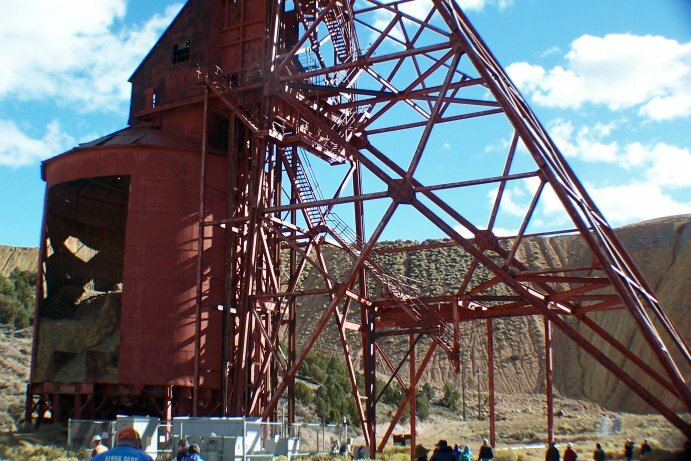 As part of the Society for Industrial Archeology Fall Tour 2007, we traveled to see the Ruth Mine. I had to do some digging on this topic to figure out my own notes. 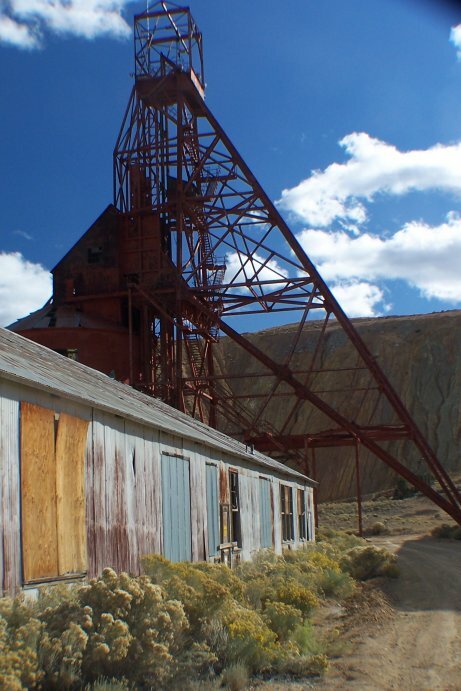 I had listed that the Ruth Mine was being torn down. 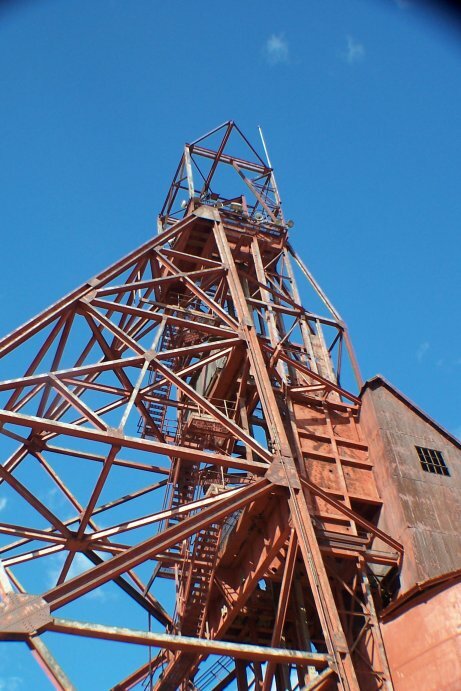 This is partially true- the Ruth Mine Headframe was being torn down. 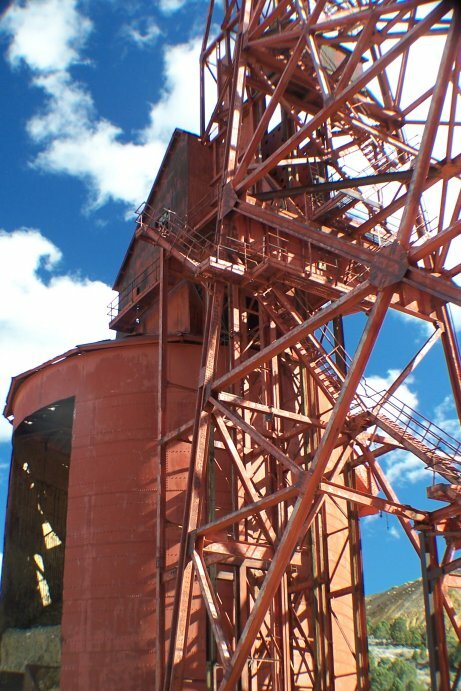 The land belongs to Robinson Copper, and they are expanding their facility adjacent to the old Ruth Mine headframe, and thus, it is being torn down. 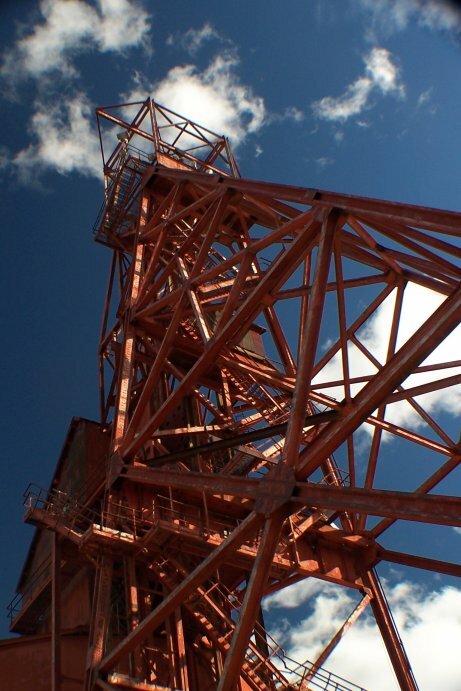 Here are some photos of the headframe in 2007. 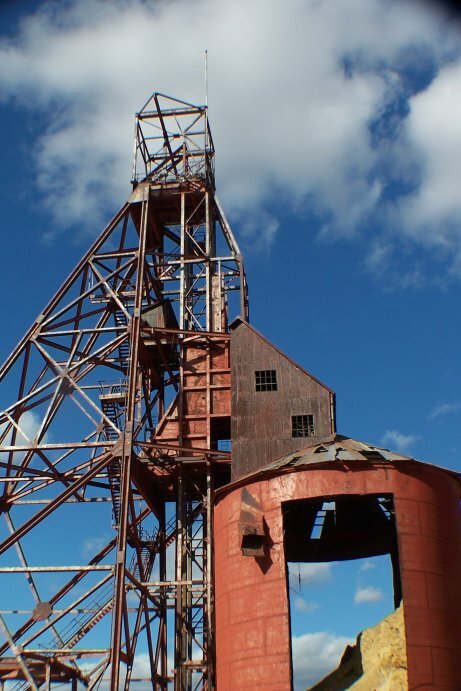 It’s a shame to see such an elegant structure come down, but it belongs to Robinson, and they can do what they want. 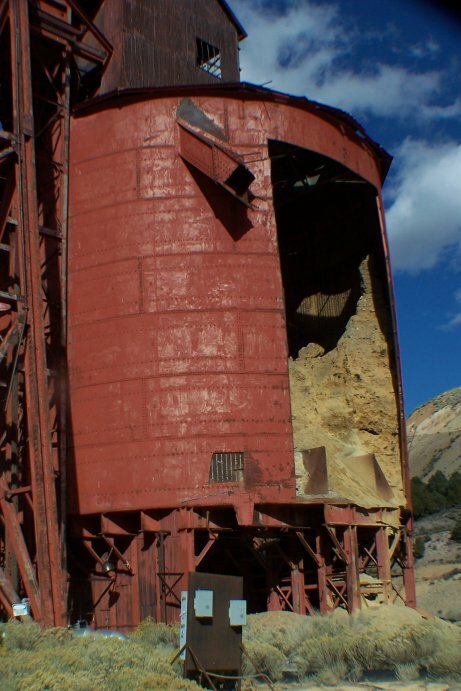 Next to the headframe was a storage tank of some sort. 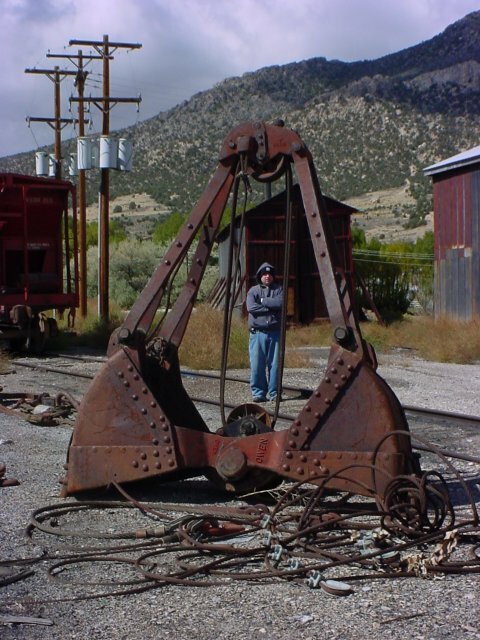 I don’t know exactly what this did, but it likely held the ore until it could be moved by the Nevada Northern Railroad. 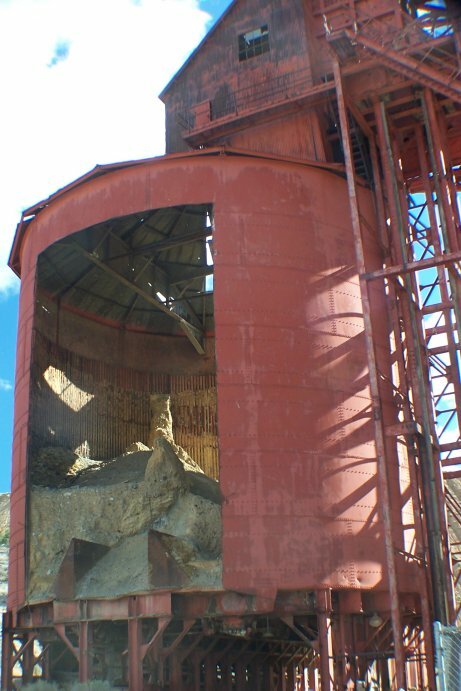 The first few pictures aren’t that impressive- but then when you see the people standing next to the tank, you’ll see that this was an exceptionally large structure. Also, there was a large shed on site. 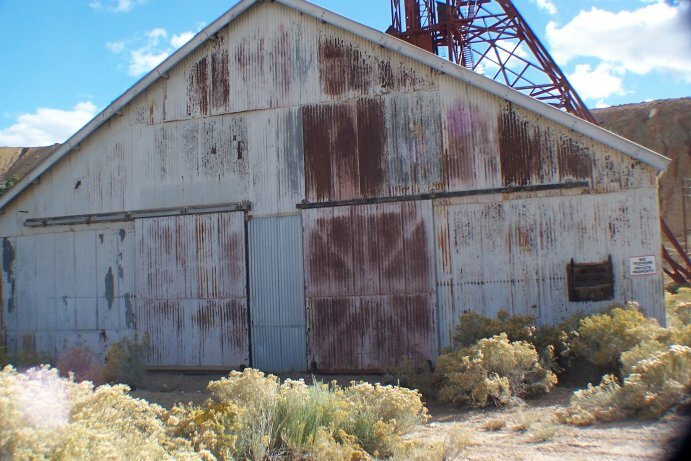 It is unclear what part of the mining operation occurred in this shed. 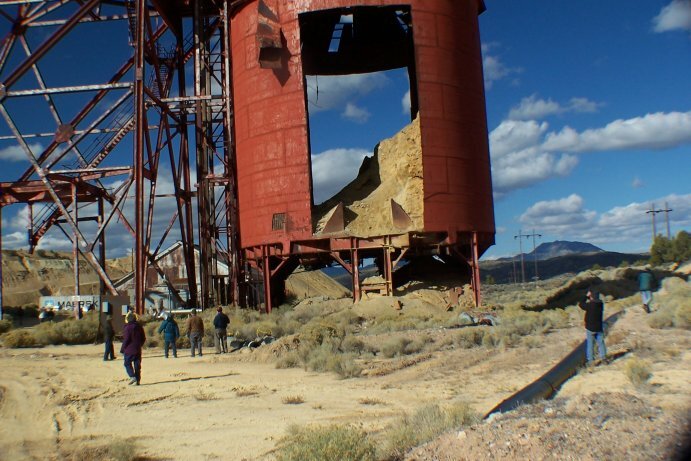 As part of the Society for Industrial Archeology Fall Tour (2007), we toured the Nevada Northern Railroad, including their railyard. 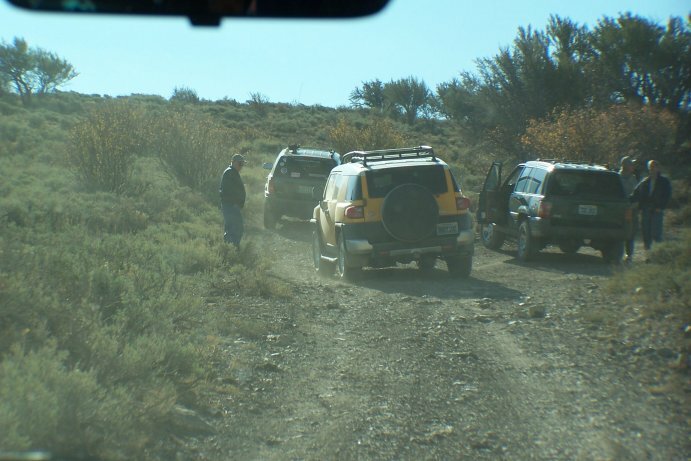 I’ve posted several times about some of the neat things we saw, but here are some projects that were in the works while we were visiting. 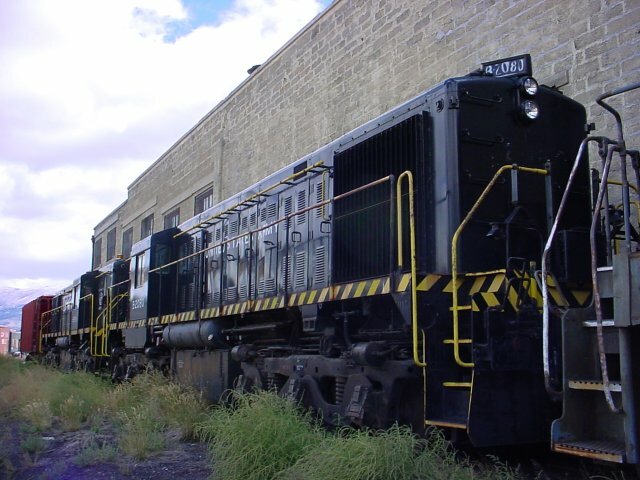 There were three diesel locomotives that were on track to be restored. 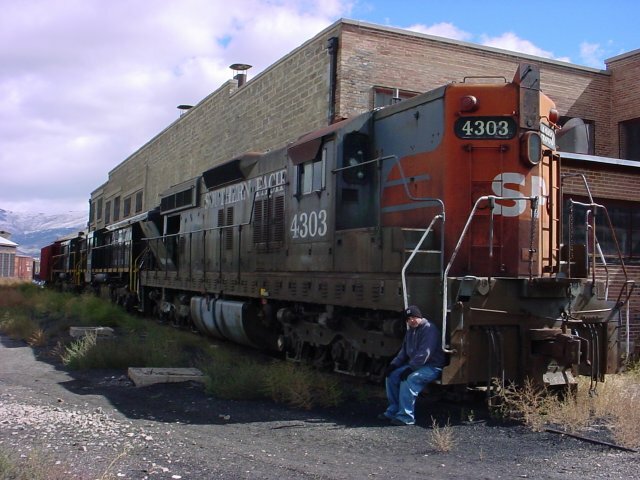 I only got the tag from one of them (I didn’t know much about locomotives back then)- Southern Pacific 4303. 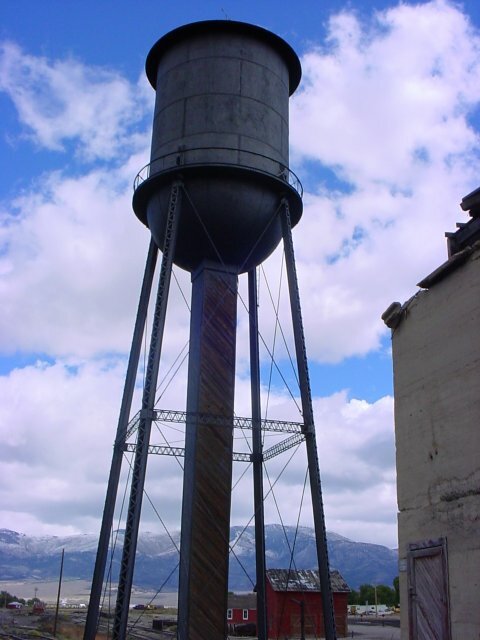 There was also a water tower. I can’t remember, but this might have been in use (already restored).